Co-Fe has joined the Proximity Network from Santa Fe, New Mexico! Complete with a cafe and yoga studio, this coworking space is located in an up-and-coming part of town, and has made a large impact on its surrounding community, not only with the people but the economic development as well. Ted Harrison the space founder and manager explains more about his coworking space! Co-Fe opened its doors on February 4, 2018. The facility is part of a larger redevelopment of a 1929-era primary school located within the downtown district of Santa Fe, NM. 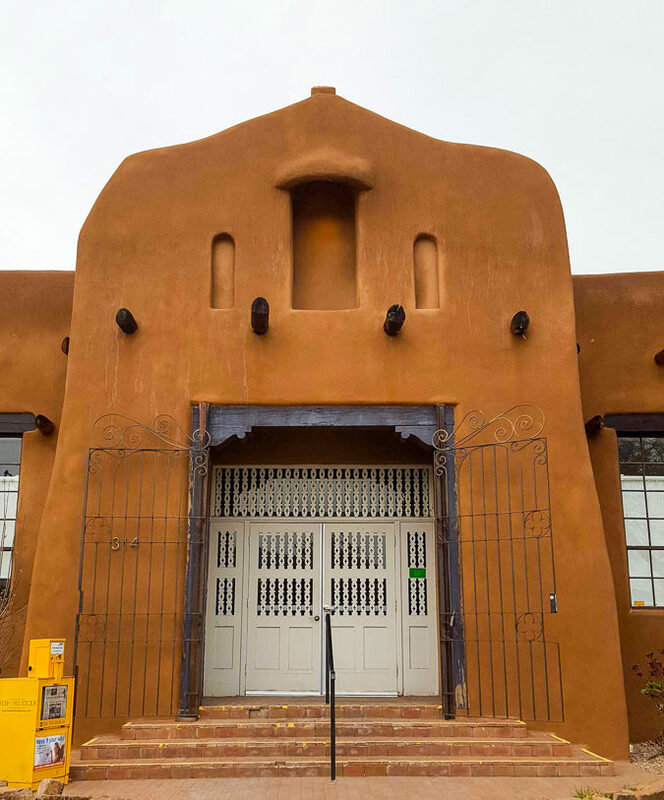 The inspiration to create Co-Fe was born from a combination of factors: 1) I loved the building in which Co-Fe is located and felt that the property was ripe for re-imagining; 2) Santa Fe has a lot of remote/independent workers. 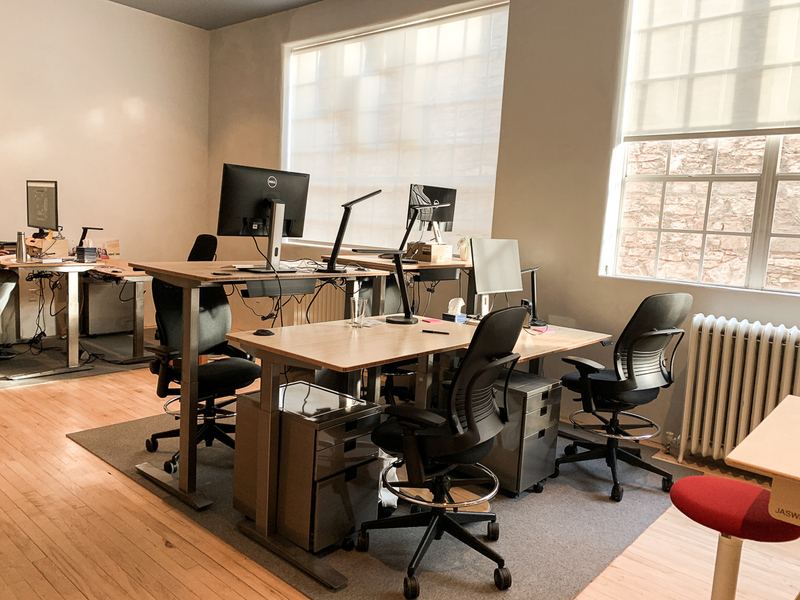 Creating an alternative to home office/cafe workspaces seemed like it would be a good service to this community of creatives and professionals; 3) Santa Fe has been behind the curve in creating a high-amenity collaborative workspace. With few comparable offerings available to residents and visitors, Co-Fe’s development supported the city’s economic development ambitions, as well as presented an opportunity for a reasonable business venture. Co-Fe is approximately 3,200 sq. ft in size. It’s situated in an 8,300 sq. ft historic structure located four blocks from the historic Santa Fe Plaza that includes a well-regarded cafe and celebrated yoga studio. Co-Fe offers members a beautiful and comfortable work environment (open seats, dedicated desks, small offices), well-appointed meeting rooms, acoustically protected phone booths, a fully serviced kitchen, free-flowing locally roasted coffee, a chill and nurturing vibe, and most importantly, a respectful/engaged community of members. The building has a large parking lot that allows members free parking, along with bike racks, access to city bike paths and bus stops. Co-Fe is adjacent to downtown restaurants and retail. As a historic building, it is blessed with high ceilings and large windows. Although the building has been completely upgraded, its historic nature offers charms and possible quirks. As Co-Fe’s founder and a full-time manager, I am thoroughly enjoying the opportunity to meet and support a wide range of interesting professionals and creatives who are representative of northern New Mexico’s emergent “gig economy.” I’ve also appreciated the opportunity to host a number of individuals and groups who are “test driving” Santa Fe as a possible place to call home. 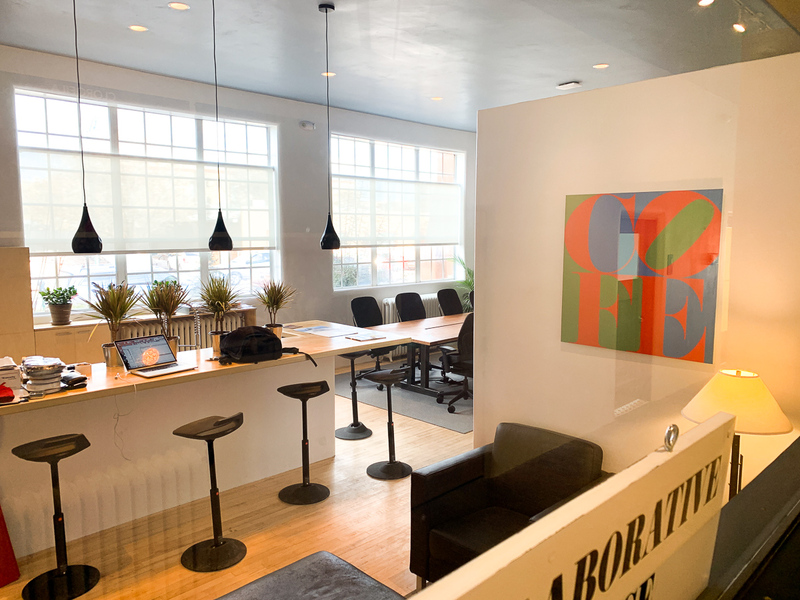 There’s an ambassadorial function to running a cowork space in a city like Santa Fe. The opportunity to welcome visitors and nomads to my home of 30+ years has been affirming and fulfilling. 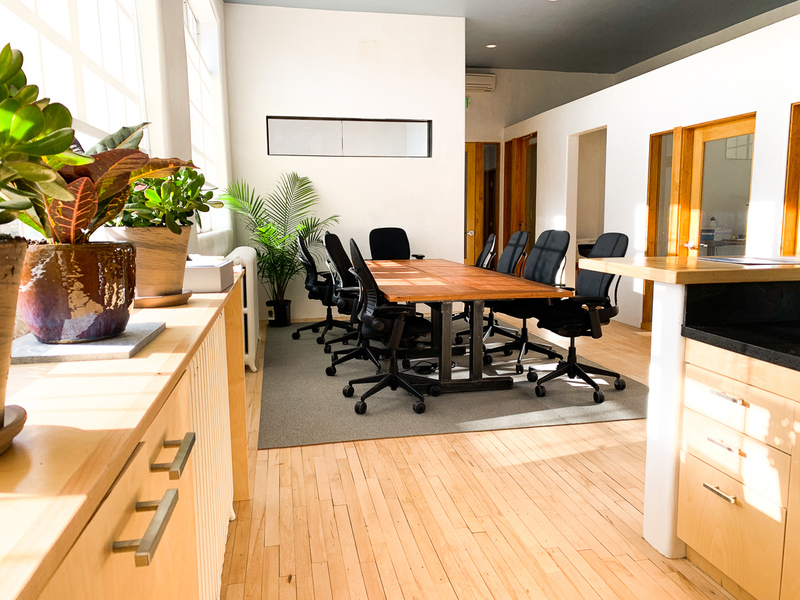 What has been the most surprising or unexpected thing about operating a coworking space? During our initial months of operation, the self-supporting nature of our emergent community has been surprising and gratifying. The people who’ve been drawn to Co-Fe have demonstrated a work practice of accountability, respect, and grace that has been wonderfully rewarding and gratifying. There is no such thing as a successful cowork space forged from an individual’s independent/solo efforts and skills. These are inherently collaborative undertakings wherein partnership, patience, flexibility, and humility are core attributes of the practice. Working with skilled professionals — such as we’ve enjoyed with Proximity, our architects and construction tradespeople — has been the foundation of our early success.